From The Elephant Man to the cult success of the co-created television series Twin Peaks, David Lynch’s work has broken new ground, defied categorisation and changed the face of filmmaking for a generation. Now, in this extraordinarily personal book, David Lynch opens up about a lifetime of extraordinary creativity, giving insights into his work, including films like Eraserhead, Blue Velvet and Mulholland Drive and the friendships he has made along the way as well as the struggles he has faced - sometimes successful, sometimes not - to bring his projects to fruition. 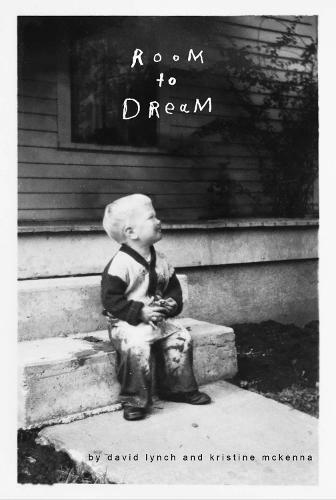 Part-memoir, part-biography, Room to Dream interweaves Lynch's own reflections on his life with the story of those times, as told by American journalist, critic and art curator Kristine McKenna. Drawing from extensive and explosive interviews with ninety of Lynch's friends, family members, actors, agents, musicians and collaborators, with responses from Lynch to each recollection. By turns mysterious and enlightening, it’s an unprecedented window into the inner story of the life behind the art.